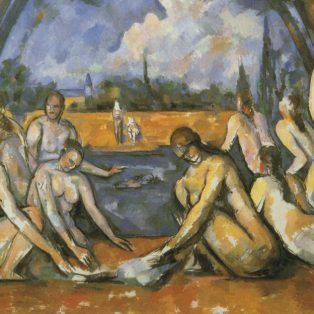 Cezanne was born in Aix in 1839 and died in Aix in 1906. He was always deeply attached to his native Provence. “When I was in Aix, it seemed to me that I would be better elsewhere, but now that I am here, I miss Aix. When one is born here, damn it, nothing else means anything to you “. 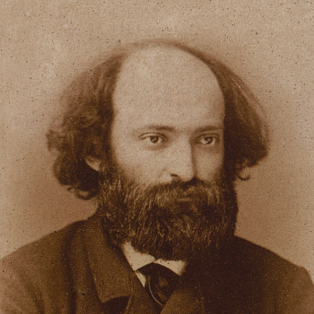 Cezanne, a great observer of nature, knew perfectly the geology of his land. The country trails that he wandered on in adolescence with Émile Zola, held no secrets from him. His footsteps took him to the banks of the Arc, along the Tholonet road, to the midst of the Bibémus quarries, to the Lauves’ hill, into the fields surrounding the Jas de Bouffan and into the pine forests of the Valcros’ hill, near the country houses of Bellevue and Montbriand. Everywhere, Mont Sainte-Victoire dominated the landscape. 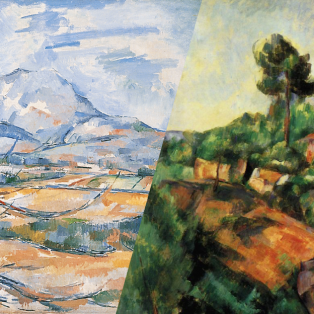 It became his favorite subject: 44 oils and 43 watercolors testify to Cezanne’s fascination of the mountain. When Cezanne was not in Aix, he lived and worked in the Estaque, a small village of fishermen on the shores of the Mediterranean, or in Gardanne, where he lived with his wife and child between 1885 and 1886. Incessantly, he painted the nature of Provence. His precious landscapes are kept today in great international museums or in private collections.